This summer, I have been redesigning my blog, and I am currently working on rewriting bits of my blog and I still have a bit more designing to do. But, so far I love the way that my blog looks now. It has made me more motivated to write blog posts because I finally love how it is looking. I think it looks so more professional and I am just so happy with how it turned out. I did think about changing the name of my blog but I started with Love Vicki Louise and I love how I am not stuck to one particular genre and I can change up my posts. Plus, this blog is like my baby and I have always loved the name. I have always used Pipdig for my blog designs and that is who I used for this blog design as well. I love using them (I promise this is not sponsored) as all the templates look amazing and they are fairly affordable with templates ranging from £29 to £59. You can also change or remove certain parts as well which is just amazing and they are so easy to install as well. If you are a blogger and are wanting to change up your blog layout, then I would definitely recommend using Pipdig as they have templates for Blogger and Wordpress. I am really focusing on my blog and social media pages over the next few months as well, so look out for new photos and lots of new blog posts in the future. I always create New Year's Resolutions every year and I usually stick to them for a few months, but life is never smooth sailing and things will always come up that deters us from our goals. But, who says you can't set new goals throughout the year - and so in July, I decided to do exactly that. I think making monthly goals is so much more beneficial because I feel like you can really stick to them and make goals that are easier to achieve within that month. Plus, you will feel amazing when you are able to tick off the goals that you have achieved. So I have been making monthly goals, for the last couple of months, and this September my goals are: trying to be more organised with work and my studies, eat less junk food, eat more healthy, lose a stone, keep up with my skincare routine and focus more on my blog and social media. Make sure you follow me on all of my social media platforms, especially Instagram and Twitter, as that is where I will keep you up to date with how I am doing with these goals. I am setting goals that I can easily keep to (which are not too difficult) and this helps to keep me more motivated and is a way of me decluttering. I find that if I have too many goals then I just end up not doing them - of course I still have some yearly goals, but I only have three of them. The rest of my goals are set every month to make my life more enjoyable and to keep me from stressing out over not achieving the goals I set earlier in the year! I have been doing really well exercising this year, but I have had a couple of difficult months which have made it more difficult to keep to my workout regime and I really want to get back into a steady routine that is more achievable. At the start of summer, I made the goal that I was going to build up my regime to working out 3-4 times a week and I am now able to work out three times a week. Of course, there are some weeks where I don't always have the time and maybe I will skip a day but I am consistently working out regularly. I really want to push myself and do new workout routines now. My goal is to lose some weight as well as toning up as I definitely have done well since working out again. I am also trying to each much healthier as that also went wrong through the more difficult months I have had this year. I am back making home-cooked meals every night and trying to minimise the amount of junk food I consume. I want to try to remove almost all unhealthy foods from my life - so another form of decluttering in my life. Bullet journals are something that I have seen so much of on YouTube, so at the start of summer I decided to buy a bullet journal and have now stuck to a routine with it. I love these types of journals as I can create my own pages that fit around my lifestyle. Because I am drawing each plan out, I am more motivated to write in it and use it, whereas in other journals I usually lose interest after a month or so. It is such a good way for me to keep track of goals, daily events and to-do lists, especially with me going back to university this year. Because I am new to bullet journaling, I take inspiration from other people's YouTube videos and Instagrams. I usually take inspiration from the designs of AmandaRachLee. Her YouTube is dedicated to bullet journals and layouts, and I always love how she comes up with new themes for each month. I would definitely recommend subscribing to her channel if you need inspiration for your own bullet journal or you can look at her Instagram @amandarachleedoodles because she uploads photos of weekly spreads that she has come up with that you can use for your own bullet journal. There are also many other YouTubers who will show you how to come up with themes. I love this type of journalling as you have complete freedom and you can make it look however you want it to. Bullet journals are such a good way to keep organised and they are always more fun to look through. If you follow me on Instagram, then you will know that once every few months, I will have a huge decluttering of my wardrobe. Here, I take every piece of clothing in my wardrobe, drawers and in storage and sort it out into piles - one pile to sell, one pile to donate, one pile to go in the bin and one pile to keep. 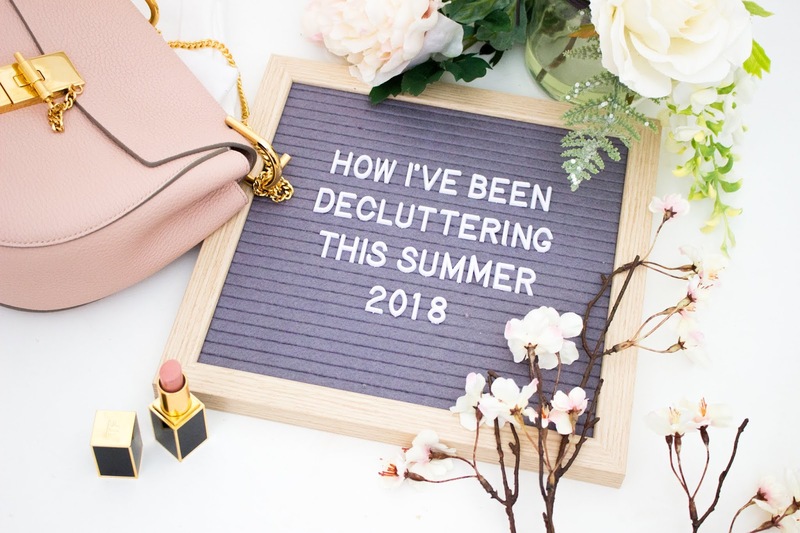 I did this at the beginning of the summer and I know I will have another decluttering session in October time. I managed to reduce my wardrobe by at least a third (maybe more) and my wardrobe is now more organised and is full of clothes that I will actually wear and like. I love fashion and I am constantly looking at and buying new clothes, but I often find that I don't get rid of clothes to make space for the new clothes. Plus, I have clothes that I have never worn, or have not worn in over a year that probably would not fit any more - so it is always good to have a decluttering session. I am sure that more of you will have something in your wardrobe that is either old, never been worn (or not been worn for a long time) or no longer fits. This is one of the best ways to declutter your life and I am always so much more happy when I have a perfectly organised wardrobe that is sorted into types of clothing and colours (can you tell I have OCD)! I would definitely recommend sorting out your wardrobe because it just feels so good to know that all the clothes in your wardrobe fit and are pieces you will wear - plus it is an excuse to maybe buy a few new pieces! There is probably nothing more therapeutic than tidying the house and completing projects around the house. My family moved into a new house last April and we had some pretty big renovations done to the house - including new flooring, a new kitchen, a new bathroom and more. Of course moving is never easy and there will always be projects that need to be done. So this summer, we decided to complete some projects and make the house tidy and all sorted out. Some of the projects like painting and wallpapering will have to be done another time, but we added new pieces of home decor and we sorted out the garage and the study (which were full of random stuff that we did not know where to put). Completing projects around the house is so relaxing for me, as I believe that if your home is organised then that will reflect in your life too. A project could be anything - planting plants in the garden, painting a room, wallpapering or just adding in some new bits of home decor. There are of course more projects that I need to do but I will find some weekends in the autumn/fall months where I can complete them. 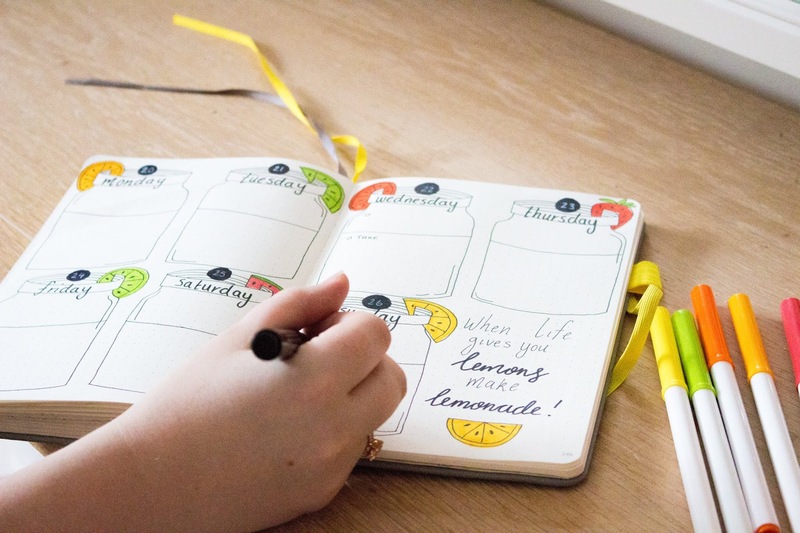 If you have struggled this summer to stay motivated and organised, then hopefully some of the tips that I have followed may help you! Decluttering your life is one of the best way to clear your space and make you more happy. Let me know in the comments how you plan to declutter your life this autumn/fall - whether it is cleaning a room, or sorting out your wardrobe! Have you set any goals for the next few months that you would like to complete before the end of the year!